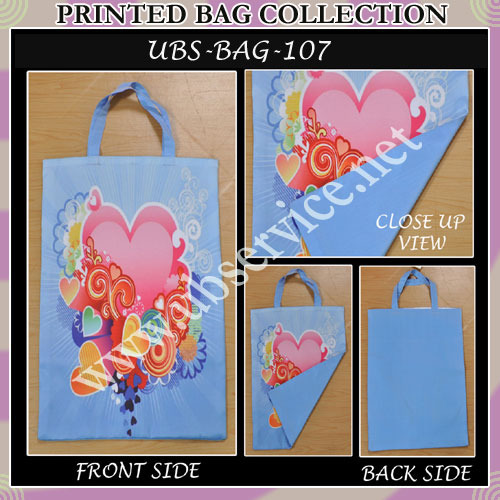 We present wide range of printed bag collection-pink & blue bags which are available in bulk. These bags are blue in nature which is enhanced by fabulous designs of hearts. Available in multitudes of colors, these bags are easy to carry. highly demanded across the world, these bags are light in weight and are eco- friendly. Universal Buying Services is engaged in offering an extensive range of Textile Items including Home Furnishing & Hard Goods since last many years. The range of products available with us includes Floor Covering, Rugs/Durries, Hand tufted Carpets, Bedroom Coordination Set, Kitchen coordination Set and Made ups etc. We are looking for international inquiries. Our organization serve in the best possible manner to cater the needs of our clients regarding communication, quality and most of all strong sourcing and timely delivery. Further, in order to attain total client satisfaction, we ensure to provide quality services, timely delivery, sampling to our beneficiaries with quality adherence.